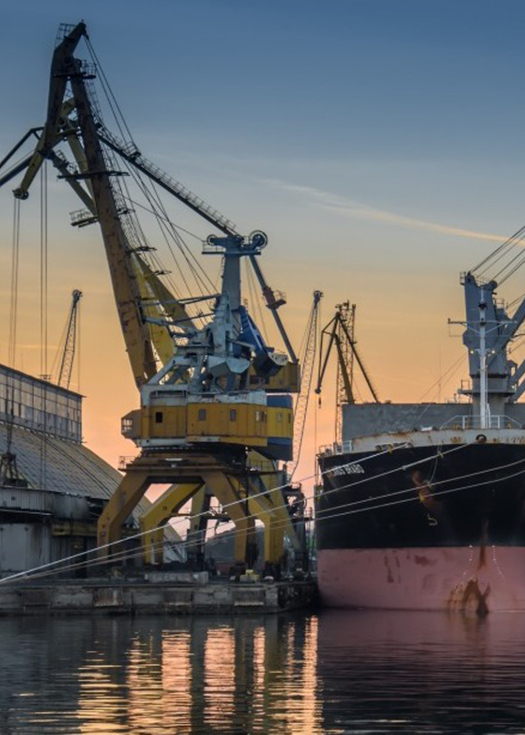 Posidonia Safety and Security is an advanced solution for port facility security, helping to manage the environment and sustainability of the port. Posidonia Safety and Security helps dealing with the entire processing of dangerous good in a port, from the request for admission by the consignee, to the monitoring and control of the entry and exit of goods at the terminals, a telematic processing module is included. The automation of the integrate action procedures obtained from the PEI (Site Emergency Plan) in the event of an emergency is also part of the solution, allowing the port authority to manage and develop emergency drills for subsequent analysis and improvement. With the Posidonia Safety CLOUD option, we configure and host your Posidonia Safety site in the cloud. This is often the ideal choice for teams who want to get to work quickly and easily, as well as for those who don’t want to worry about the technical complexity of hosting it themselves. Posidonia Safety CLOUD is a high-performance solution for accessing the entire set of services at any time and place, from any type of device; all this in a flexible CLOUD environment, adaptable to the specific needs of each costumer, under a MONTHLY SUBSCRIPTION mode. With the SERVER option, you host Posidonia Safety on your own hardware and can customize the configuration as you wish. This is often the best option for teams who want to manage all the details of the configuration and are not concerned about the additional complexity of running their own hosting. Posidonia Safety and Security allows to register and follow the action procedure established within PEI and, communicate to the agents and authorities involved the notices established by different types of communication (fax, email, telephone…). The system can be integrated with the emergency control centre’s communications matrix, allowing the automation of telephone communications. Posidonia Safety and Security is integrated with buoy communication systems: malfunction notification, map positioning, remote control. It makes it possible to define the parameters for the intervention of the signals according to their type and characteristics. Posidonia Safety and Security is integrated with a geographic information system which allows to display all data through the maps and cartography of the port. Posidonia Safety and Security allows to establish good environmental practices between port users, guaranteeing proper compliance. It reduces reponse time, inspections, replacement and repais of port facilities. Procedure for notification of the entry of dangerous goods into the port area RD 145/1989. Communication of the location of dangerous goods at cargo terminals.